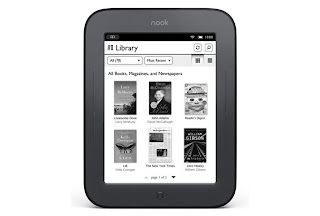 I recently bought a Nook after much consideration. I probably spent a month deliberating between a Nook and a Kindle, but I finally decided to buy a Nook. Here's why. 1. Nook has a faster reload speed. This was the thing that made me want to buy a Nook. A friend of mine bought the Kindle ($79) dollar version, and I had tested it out. The reload speed was horrendous and I know I wouldn't like it because I am a fast reader. Another friend of mine told me the slower reload speed is because there's a back light on the Kindle, but I'm not so sure. 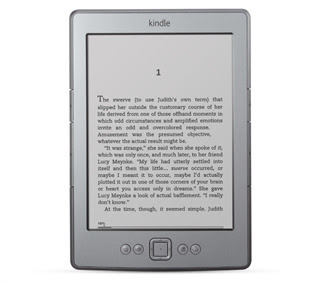 When I bought it, there was a $20 off Nook Simple Touches when a MasterCard is used to purchase it, making the price $79. The only Kindle that's $79 is not a touch. Obviously, the better deal is the Nook. The Kindle looks clunky. I like the smooth corners of the Nook. The Nook looks smaller, which is nice for portability, but the screens are the same size (6 inches). I use Netgalley (online e-galley request service) quite a lot, and it's a lot easier to use a Nook to read than a Kindle. There's a lot of steps to add galleys to a Kindle compared to a Nook in my opinion. For a Nook, you just have to download a link and open it, which makes Adobe Digital Editions automatically download it for you. Just plug in your Nook into your computer and drag the file in. For a Kindle, you have to find your specific Amazon Kindle email, or your email that your Amazon account is linked to then add that email to Netgalley. There's some more steps that I don't know because I don't have a Kindle. If you just want the basic Kindle without ads, you have to pay $109. 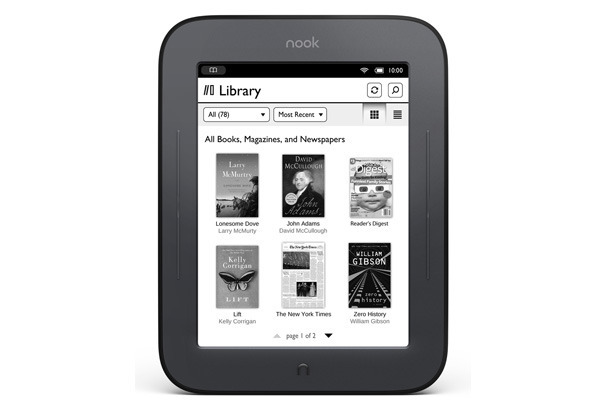 If you want the basic Nook, it's $99, and it comes without ads already. It's amazing! It's a pity that it's not available for purchase internationally like the Kindle is though.